Ethan Ampadu hobbled off the pitch with an injury playing for Wales against Spain on Thursday night. 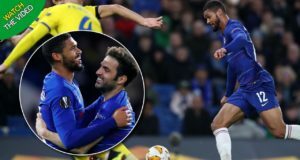 The Chelsea youth star was forced to call it a night after 50 minutes due to a knee injury. Ampadu was making just his fifth international appearance for Wales, and played against Chelsea team-mates Alvaro Morata and Cesar Azpilicueta. Spain ran out comfortable 4-1 winners in Cardiff despite fielding a second-string side against Ryan Giggs’ team. Ampadu seemed to land awkwardly after a challenge and went down injured, prompting Morata and Azpilicueta to jog over to the 18-year-old to check on their club team-mate. The Chelsea duo looked concerned for Ampadu but the midfielder did leave the pitch unassisted. Ampadu has been in fine form for Wales, but has struggled to break into Maurizio Sarri’s side. Sarri is still getting to know the squad at his disposal, but Ampadu did make the bench for Chelsea’s win over Vidi FC in the Europa League. 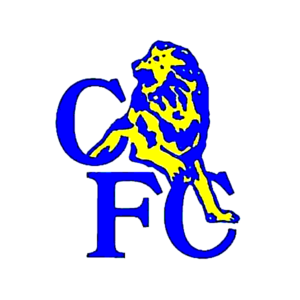 Chelsea resume club action on 20 October when they welcome Manchester United to Stamford Bridge in what will be another big test for Sarri’s team. The Blues sit joint top of the Premier League table during the international break, with 20 points after eight games played this campaign.